that both black and white are all for $499. 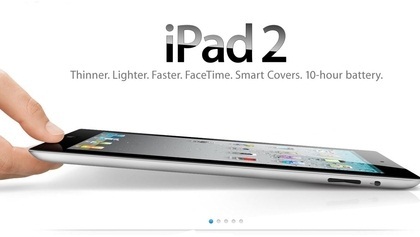 The front-facing VGA camera (as well as one on the back) is in new iPad. People can talk with each other via iPad 2.
reduced the size of the unit. iPad 2 has WCDMA and CDMA EV-DO Rev.A 3G network. The CDMA 3G iPad comes to the market for the first time. Latest iPad supports the 1080p HDMI. The new processor is called the Apple A5 and is based on Arm’s cortex-A9 design. It is 1Ghz again. No.2: The stupid button problem has been fixed. 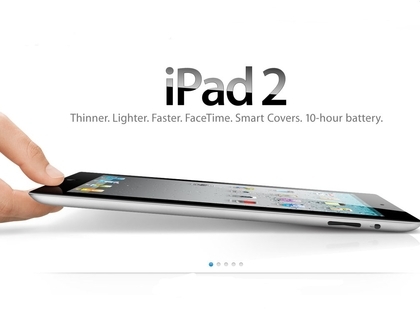 No.1: iPad 2 performs better display. No.4: Mobile Me isn’t for free. No.3: Ram isn’t highly advanced. No.2: Camera isn’t that good.